A new supply chain report out of Taiwan echoes a recent Bloomberg News story suggesting that HomePod sales have been lackluster, but as with most channel checks, it can be difficult to draw accurate conclusions. Namely, the China Times claims that Apple has reduced its HomePod shipment forecast to 200,000 units or less per month in the second quarter, down from around 500,000 units per month in the first quarter, due to lower-than-expected sales. Apple is also said to revise down its shipment forecast for all of 2018. HomePod sales may very well be lackluster, as a relatively niche product with an expensive $349 price tag, and given a handful of early reviews that criticized Siri's capabilities, but Apple CEO Tim Cook has previously warned against trying to interpret single data points from the supply chain. I suggest it's good to question the accuracy of any kind of rumor about build plans. Even if a particular data point were factual, it would be impossible to interpret that data point as to what it meant to our business. The supply chain is very complex and we have multiple sources for things. Yields can vary, supplier performance can vary. There is an inordinate long list of things that can make any single data point not a great proxy for what is going on. For example, the China Times report only mentions Inventec and a few smaller suppliers affected by the cuts, despite reports that Foxconn would begin assembling HomePods alongside Inventec at some point in 2018. It's possible that Inventec has simply lost a portion of its orders as Apple diversifies its production. A few months have passed since the HomePod launched, too, so early adopters who were eagerly waiting to purchase the speaker have likely already done so. Just like an iPhone, sales can be expected to be strongest within the first few weeks of availability, followed by a gradual decline over time. Production cuts are to be expected. Moreover, the HomePod has yet to even launch outside of the United States, Australia, and the United Kingdom, so sales remain limited geographically. Apple said the speaker will launch in France and Germany later this spring. If sales are in fact poor, one way that Apple could boost interest is by offering a more affordable HomePod, and today's report echoes rumors about a possible lower-priced version. 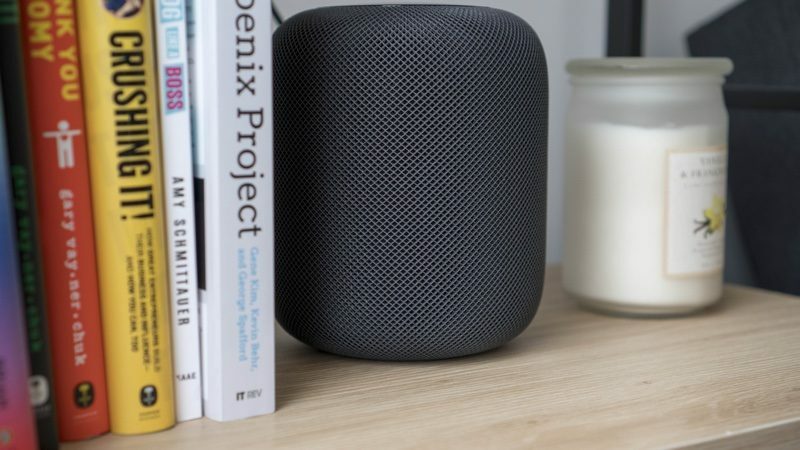 However, the report predicts that Apple wouldn't launch a revised or cheaper HomePod until at least the fourth quarter of this year. We'll likely never know exactly how well the HomePod is selling, as Apple said it will group the speaker under its "Other Products" category in its quarterly earnings reports, alongside the Apple Watch, Apple TV, AirPods, Beats, iPod, and more. But we'll be listening to the May 1 earnings call for any potential hints. I think much of the smart speaker "phenom" is overrated. I don't want to talk to my home, and I am sure most others don't want to as well. meh. I hate talking to my machines. It’s not that they don’t understand, it’s that it feels so disruptive. If I ask her to shut off a light, just do it. We aren’t dating. You don’t need the final word. This comment may make me unpopular here, but frankly I'm glad the HomePod is failing. It is a lackluster product, and Apple needs to stop relying on their logo and name to sell even crappy products. If this had proper Bluetooth support, and a proper line-in, it would be an absolutely phenomenal speaker. I would have bought one on release day. However, the fact that my friends with Android devices of Windows PCs cannot connect to the HomePod to play music from their devices pretty much kills it for me. I have a JBL speaker that supports AirPlay, Bluetooth, DLNA, TOSlink, and analog line in. It sounds great, and cost about the same as the HomePod when I got it a couple years ago. Apple should have at least lived up to something like that. This is a miss for Apple. I am a musician who owned an Alexa Dot and always used a Bose wireless speaker to listen to Spotify. Naturally I was excited to see an all in one product that would jive with my Apple ecosystem and that was supposed to sound far superior to any other smart speaker on the market. I had several issues with HomePod, and subsequently I sent it back. - Siri was not as smart as Alexa, and couldn't even read from or add to my calendar. Even Alexa can do this with iCloud accounts! - HomeKit is a nightmare. The interface is terrible, and I live with a roommate who already had a HomeKit set up with his Hue lighting across the house. I've added my bedroom/bathroom to that account, but HomePod had a hard time with being signed in under my account while reading the Hue data off of his Home. - I like the amount of bass, but the wide separation between the lows and highs was a bit much. I found myself wanting to adjust things, but couldn't due to lack of EQ controls. - You cannot link more than one speaker yet. This is a selling point for me since I live in a split level with a bathroom on the lowest level and a bedroom two floors up. - Lack of third party app support. This was a deciding factor. I love Spotify - its streaming rate, its interface and app setup are far superior to Apple Music. I found myself fumbling around Apple Music and hating my experience. Things are clunky and hard to get to, the sound quality is slightly under Spotify, and I wasn't happy with having to access Apple Music through iTunes, which is hard enough to manage. Ultimately, I ended up returning HomePod and getting three Sonos One speakers with Alexa. Now I have one on every level of the house with easy linking and the freedom to use whatever sources I choose for music and podcasts, and freedom to customize how things sound. I think Apple definitely missed the mark with this product. If I want good sound there are better speakers for less. Siri just isn't very good. I sometimes wonder if Siri just recognizes one word I say, and then pulls a random response from a list. Tim better get the computers updated soon! Your pet projects aren't working. My Target has had the same two HomePods (one black, one white) in stock for weeks. HomePod is an underwhelming product. Both my wife and daughter miss the old Sonos: Play 1 we had before HomePod. Has an analyst EVER been right about Apple product sales drops/production? Even once?